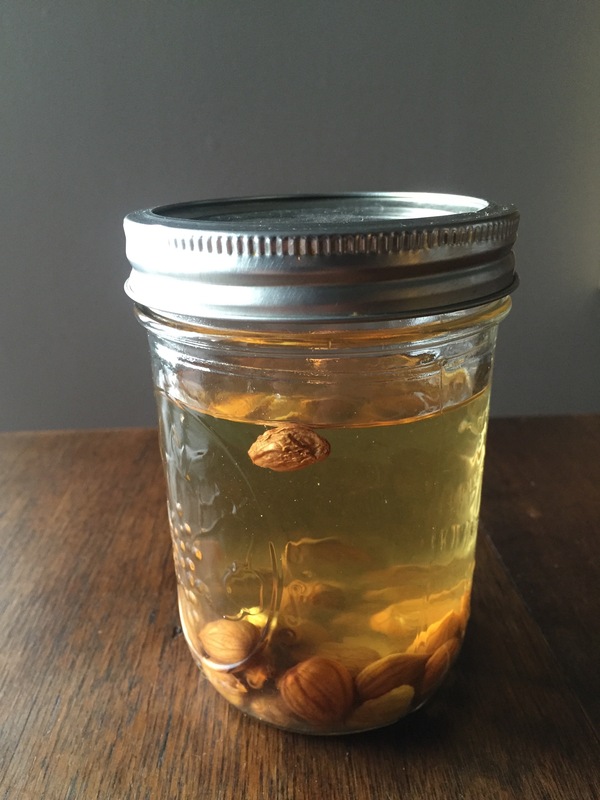 My friend Debby was making vodka infused Apricot kernels aka Noyau the last time I was at her apartment. I thought it was going to be some kind of beverage, she was putting the kernel from apricot pits into vodka: about 20 pits to 2 cups of vodka. The smell was heavenly. It wasn’t until I smelled it that I realized what she was really making was Almond Extract. Apricots, Almonds, Peaches, Plums and Cherries all belong to the Prunus family and kernel of each one of these (well except Almonds) has the most intense Almond scent. For years I have made Vanilla extract by using Vanilla beans that got partly used in baking, putting them in a jar and adding vodka. It’s kind of like a sour dough starter, I regularly add more vodka and vanilla beans as need be. 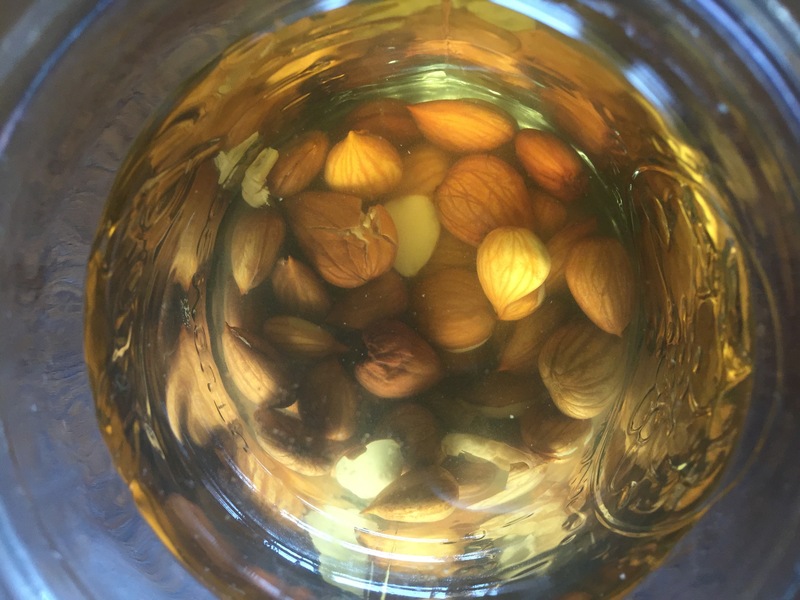 Now, thanks to Deb, I have a huge amount of home-made Almond extract. Guess I’ll have to make some more ice cream! This entry was posted in Recipes and tagged almond extract, apricots, home made almond extract, noyau, Noyau Ice Cream, vodka. Bookmark the permalink.